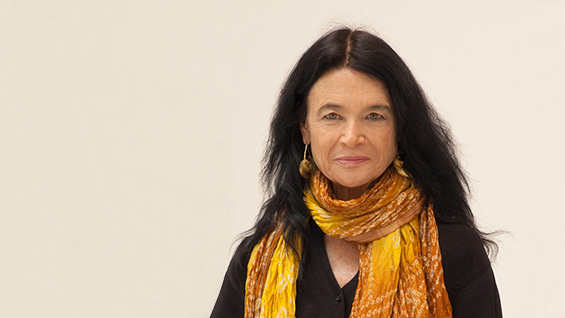 The Intra-Disciplinary Seminar (IDS) Public Lecture Series presents a lecture by Anne Waldman entitled "Giant Night". It is free and open to the public. Anne Waldman takes us inside the early years of The Poetry Project at St. Mark’s Church In-the-Bowery, with considerations of infrastructure, performance, curatorial practices, rise of women, activism, publishing, and the mimeo revolution. The Poetry Project, which began in 1966 and continues 50 years on, has played a historic role for the burgeoning community of “downtown” artists, and carries the lineages of The New American Poetry and in particular the second generation New York School, and influences of the Beats, Black Arts, Umbra, and Black Mountain. Anne Waldman is a poet, performer, editor, activist, and a founder and former Director of the Poetry Project, as well as a co-founder of The Jack Kerouac School at Naropa University. She edited The World Magazine, was a co-editor of Angel Hair Magazine and Books, and co-editor of Full Court Press. She is the author of 50 books of poetry, and editor of major anthologies. Recent books include Gossamurmur, Jaguar Harmonics, Voice’s Daughter of a Heart Yet To Be Born, and the forthcoming Trickster Feminism (Penguin Poets 2018). Anne Waldman began working at St Mark’s at the age of 21 and still maintains an active presence in its continuing relevance to Poetry. She is a Before Columbus Foundation awardee for Lifelong Achievement in Poetry, a Guggenheim fellow, Lannan Foundation fellow, and Chancellor emeritus of The Academy of American Poets. The IDS Public Lecture Series, organized by Leslie Hewitt and Omar Berrada, consists of lectures by artists, theorists, activists, designers, writers, curators and other practitioners involved in the arts from positions that embody an interdisciplinary approach or that imply new uses for disciplinary traditions.